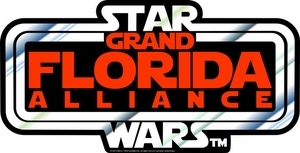 Make plans to join the SWGFA for an evening of Star Wars fun! The SWGFA will be meeting at ACME Superstore on Saturday, November 3rd from 4:00pm to 8:00pm. The store boasts one of the largest selections of Star Wars merchandise in the south east and is not to be missed! The physical address for the shop is 905 E. State Road 434 #100 Longwood, FL 32750. If you have questions about directions, please call the store at (407) 331-0433. Official Star Wars artist Stephen Hayford will also be making his first appearance with the group! Many will know him from his incredible Star Wars dioramas based on themes from Christmas, Thanksgiving, July 4th, Valentine's Day, Halloween, New Years and many more. ACME Superstore will have candy, chips, soda & water for just $1.00 each! All attendees will receive an incredible 25% off every single Star Wars item in the store! There will be another official club name badge order which fans can sign up for as well as a preview of the upcoming 2013 Membership Kit! If you have any questions, please feel free to send them here.